Last month saw the installation, after some weeks of work, of ‘Sastrugi’, a marble carving based on ice forms seen on the Greenland ice cap. I was commissioned to make the piece as a celebration of a client’s silver wedding anniversary. The work is in white marble with silver veining and was successfully in their rear garden. Needless to say I was relieved and happy that they were very pleased with the result and as luck would have it I have another commission as a consequence. This entry is filed under General and tagged Installations. 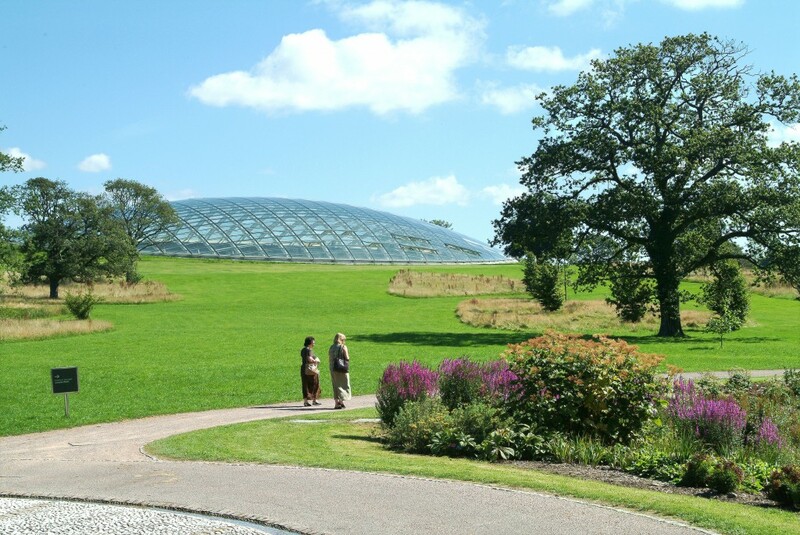 Exciting possibilities at the National Botanic Gardens of Wales! I am currently in discussion with Simon Goodenough and Bruce Langridge at the National Botanic Gardens of Wales to look at a design for a large sculpture to provide a focal point for the recently installed ‘Woods of the World’ feature, high on the hill overlooking the gardens. I first visited this wonderful garden in June of this year and, like so many places in Wales, discovered another fascinating aspect of the country.